[By Nick, New for early 2015] ‎It's been awhile since Sweet Scoops has been on the blog. They've been around for awhile but they're making some moves this year. They've redesigned their packaging, added more seasonal flavors and even have a few limited edition flavors planned. The kind folks at Sweets Scoops offered to send me some of their products to review so let's start with their latest limited edition flavor. 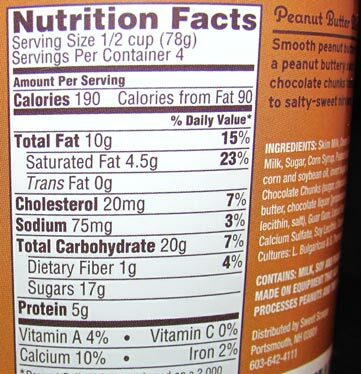 ‎We all know I'm a fan of peanut butter. The last time I had a peanut butter froyo, it was Turkey Hill's now retired Peanut Butter Pie. I enjoyed that flavor a lot so there's hope here for Sweet Scoops. Everything looks as expected to me. Sweet Scoops base is as dense as I was expecting it to be as well. It's denser than a mainstream ice cream but not super thick like a super premium. It's a nice consistency that doesn't melt too fast either. The flavor of the base however is a bit of a let down. There's peanut flavor there but not exactly peanut butter per say. It's tastes a bit watered down to me. 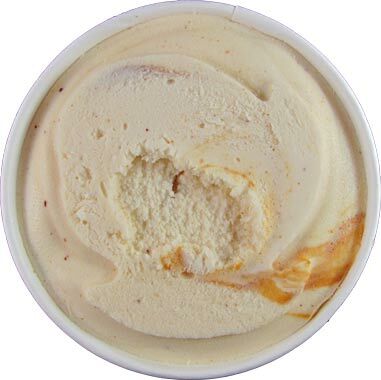 Thankfully there's a peanut butter swirl to make things right. This swirl isn't thick by any means but it makes itself into most spoonfuls. The swirl tastes shockingly like peanut butter. It's a much needed element with the weakness of the frozen yogurt's base. The chocolate chunks add some crunch from a textural standpoint. 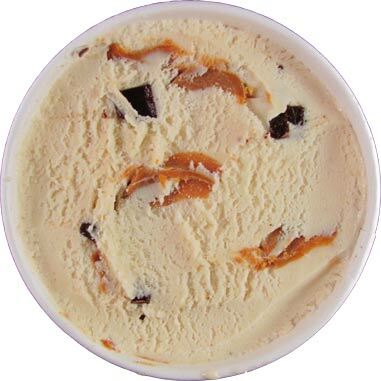 Their flavor gives the froyo a nice reese's familiarity to it. These also aren't in small quantities so you're getting a good bang for your buck. Okay, that was a pretty simple review but it's a pretty simple flavor. It's obviously not the best thing I've had with peanut butter involved but it's not bad either. 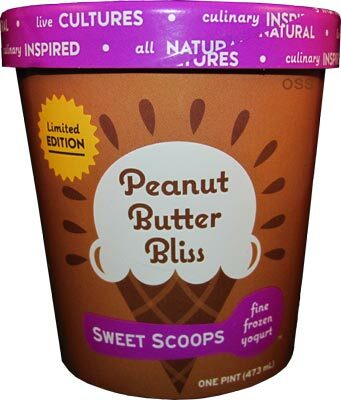 If you're looking for a slightly healthier alternative to traditional ice cream, I say give this a shot. It's not going to re-imagine your thoughts on frozen yogurt but it won't hinder them either. I'm excited to try out the rest of the flavors Sweet Scoops sent over.